#1 Complaint homeowners have when dealing with Home Service Companies and Residential Contractors is what happens the “Day After” the work is done? With EcoZapp A/C Efficiency, we strive for Hassle Free Installs and including several Q/A Processes on Installs and Repair work in which EcoZapp Performs for our customers. Equipment it Heavy, Attics are Hot, & We Strive for Excellence EveryDay with our installs crews. Our Growing Team attracts energetic Techs , Sales, & Install Teams in the Greater Brazos Valley and Greater Houston Areas. Efficient Installs = Hassle Free for both us & the homeowners we serve. Leave our Team a Review! Our Team trains on & uses some of the latest tech available from scheduling software to the latest Apple gear. Our equipment Ordering process provides for fast turnaround times for Replacement systems. From prepping for installs to Required Photos & Documentation of Work both Before & After installs. Our Team Strives to stay Constant & Efficient for Hassle Free Installs for homeowners. 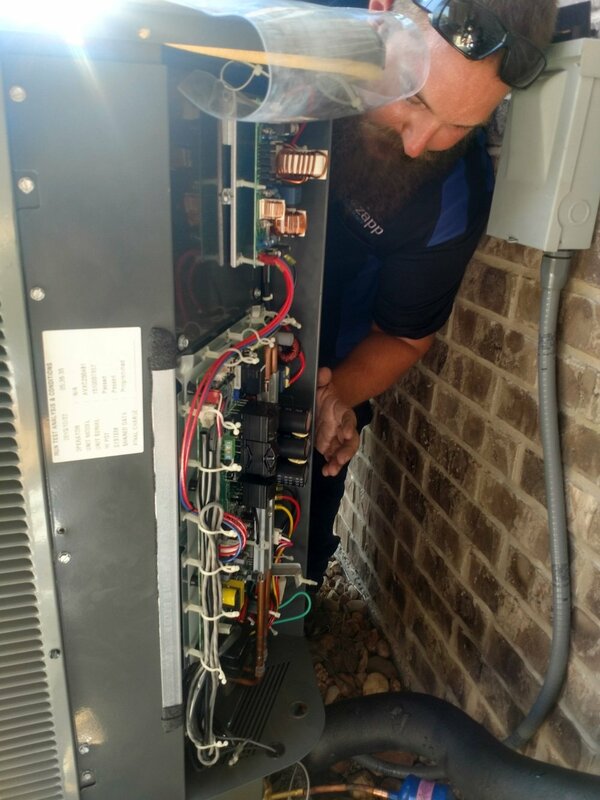 Photo’s throughout each install process to ensure we stay constant on the most important day of your New A/C & Heating System.